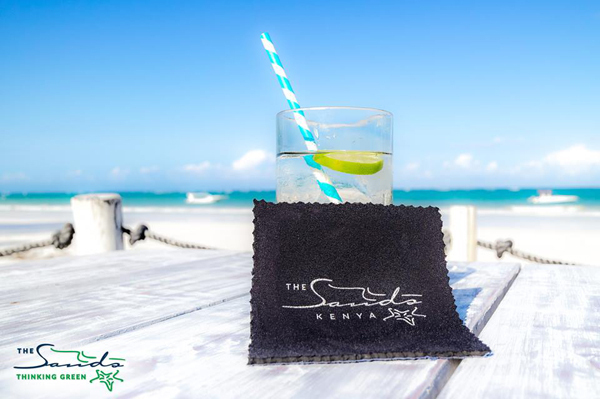 All drinking straws used in The Sands at Nomad's restaurant and hotel are made from paper meaning they are environmentally friendly and biodegradable.. unlike standard use plastic drinking straws. All the ‘drip mats’ placed under drinking glasses and bottles on the tables in the restaurant are up-cycled from old diving wet suits from The Crab Diving Center. This means that old rubber wet suits are not just thrown out and forgotten but rather reused into items of daily use. Water drinking glasses throughout the hotel are made from recycled glass bottles.